It’s almost time for the NHL to drop the puck for the 2014-2015 season. 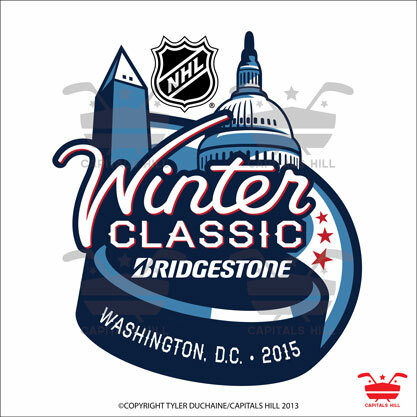 Before we know it hockey’s greatest regular season event, the Winter Classic will be here. This year the Washington Capitals will host the Chicago Blackhawks at Nationals Park on News Year Day. The Capitals will be in the Winter Classic for the second time in their franchise’s history and have unveiled their uniforms for the game. Keeping with the theme of the Winter Classic, the Capitals have gone for a vintage look and what look like a vintage sweater that could be from the team’s early history. These uniforms defiantly scream patriotism with the red, white, and blue color scheme. The four white stripes on the socks and four white vertical stripes on the shoulder really help to make these jerseys pop. The white stars are also a subtle but great touch with two stars down each sleeve and three above the logo. Overall these are great uniforms, but the weak link for these sweaters is the logo. The “Capitals” script in white looks good, but it washes out the blue W in the background. 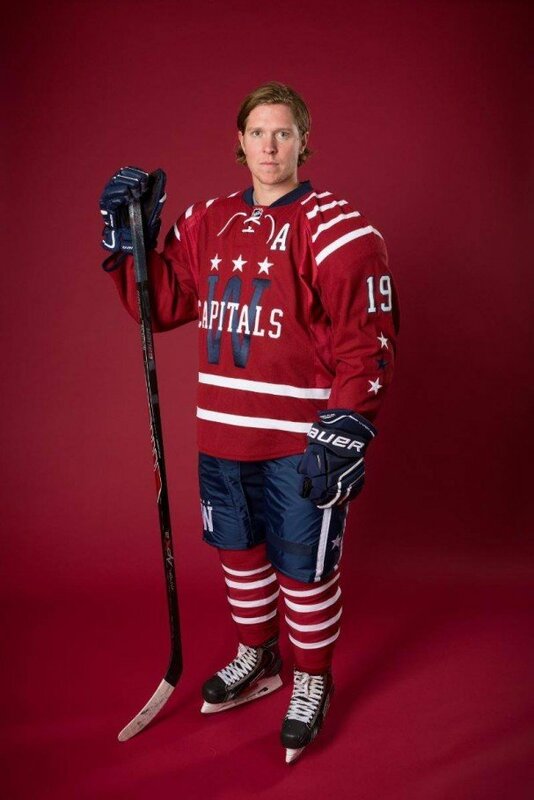 It the Capitals really wanted to hit a home run with these uniforms they would have made the W pop better. My suggestion would be to other outline the W with white so that it sticks out more or just eliminate the “Capitals” script and just leave the W but itself. Overall these uniforms are a nice addition to the Winter Classic family and do a nice job paying homage to Washington’s hockey history and patriotism. Next Down With the Ship! Will Rex Ryan’s Faith in Geno Smith Cost Him His Job?